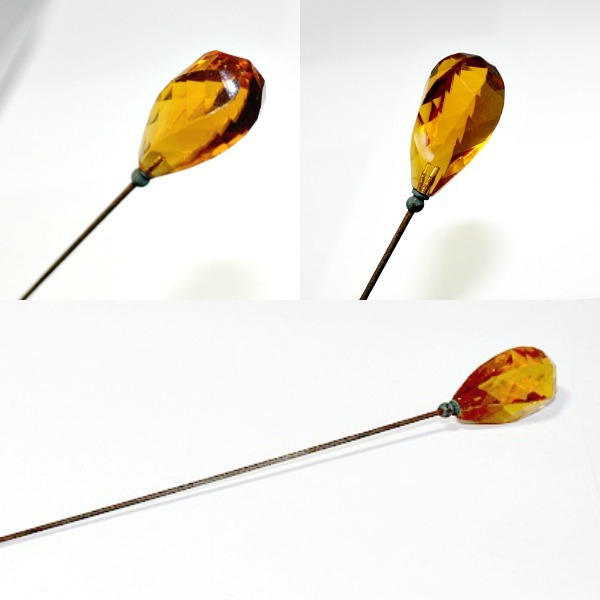 Stunning Antique Hat Pin, featuring a gorgeous faceted cut glass top with so many cuts this simply shines and sparkles like no other! 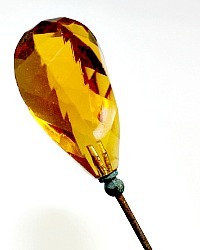 Fabulous radiance, the color is a luscious Victorian Amber toned Citrine Yellow, this is a beautiful addition to your collection of hat pins from the mid to late 1800's, to display with your millinery collection. Measures 11~7/8"' the top measures 1-14".